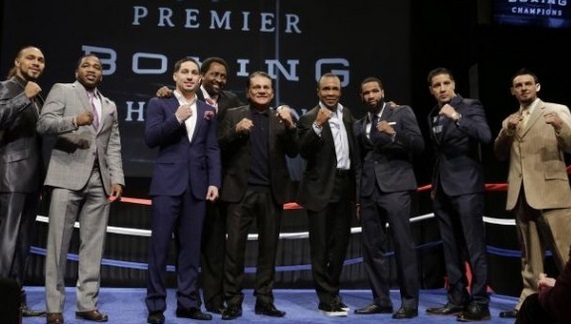 Al Heymon has set the boxing world alight with couple of great fight nights coming boxing fans way in March and April 2015, under the Heymon and NBC Sport network deal we will have a massive night with two co-featured fights on 7th march where Keith Thurman will take on Robert Guerrero while Adrian Broner will take on John Molina in the same night at MGM Grand, Las Vegas. Thats not it, the same network will also air Danny Garcia vs Lamont Peterson on 11th April 2015 and couple of other fight nights before the summer 2015. All the fight nights are part of multiyear deal between NBC Sports network and Al Heymon. Even more impressive is the fact that these fights are likely to be non-PPV events to aired on regular NBC Sports channels. But what about the purse for all the big name fighters involved ? well when you work with Al Heymon you are sure to get good paydays and after misrable 2014 year where Heymon came under major criticism for making up one sided fights he has turn the screw and already made headlines with couple of great fight nights with quality match ups. Here we take a look at the purse details of the 7th March 2015 NBC Boxing Championship night.